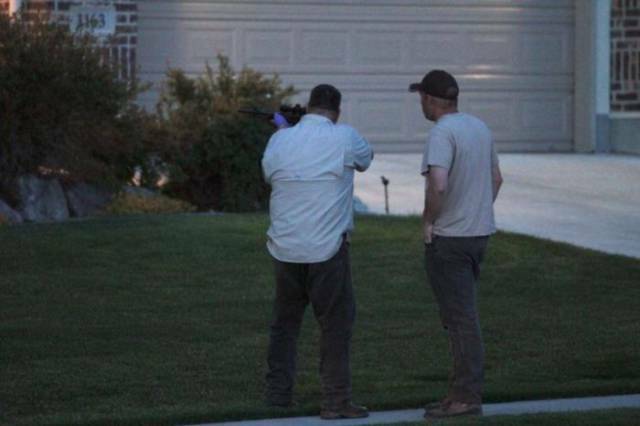 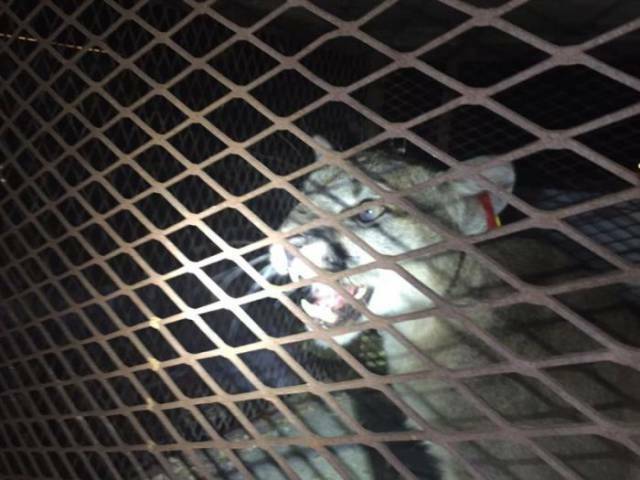 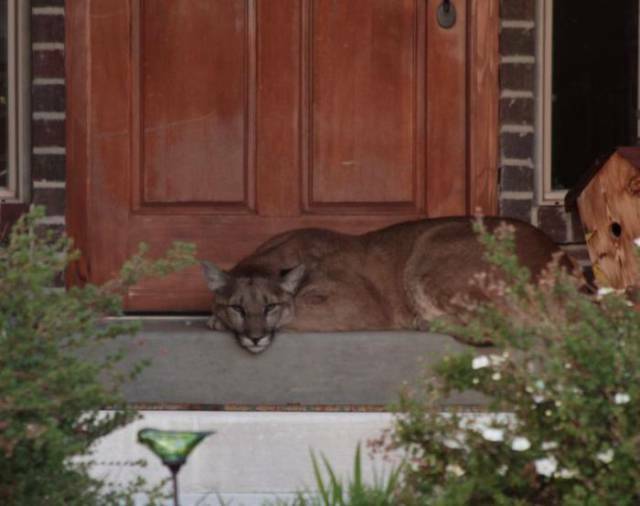 It happened in Heber City, Utah where Katie Inman saw an animal on her front door steps. 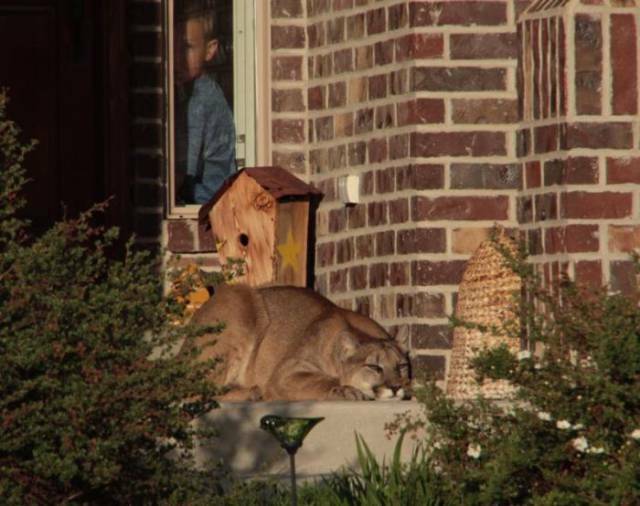 At first she thought it was a large dog and lightly knocked on the window. 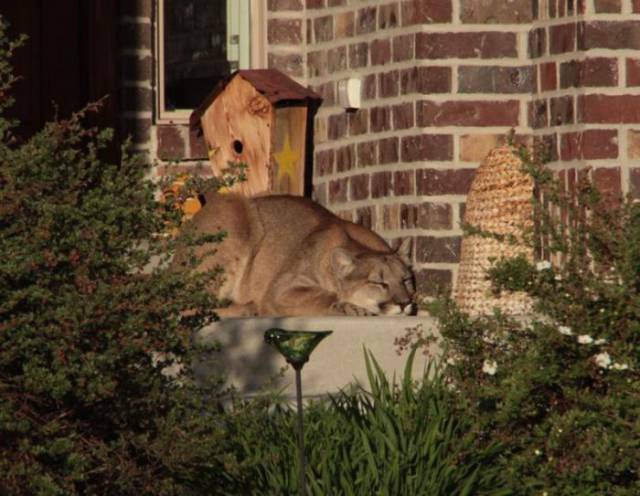 When the animal turned its head she saw that it was actually a cougar. 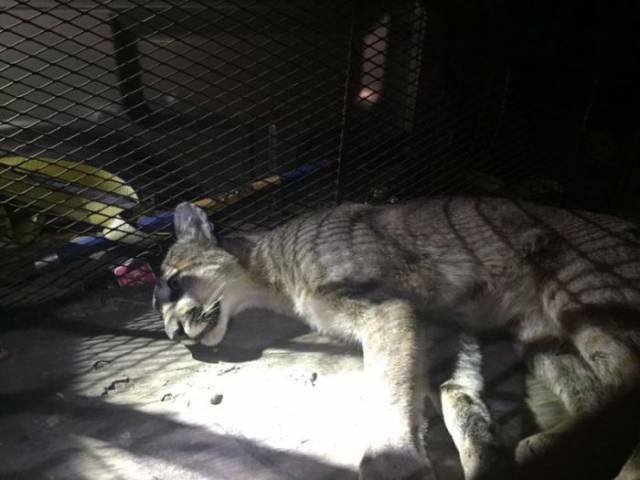 She promptly called the local animal rescue center that sedated the beast and then released it into the wild. 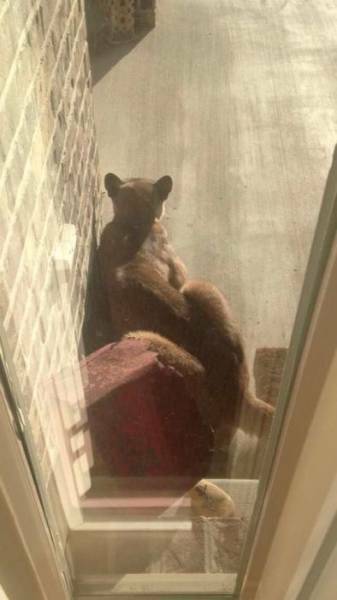 6 responses to "A Cougar Decided To Take A Nap On The Front Door Steps (7 pics) "